Well Sodbuster, you motivated me to see if I could find 100 coins in one day. I looked at my hunt log and saw that the month was was half over but I had been relic hunting a bunch and didn't have my 100 coins for the month. It took me longer than you and I hit more places, but I did it! 109 plus a Canadian penny, a Mexican coin, a St. Christopher medal, and a half cent - no wait, it's plastic. 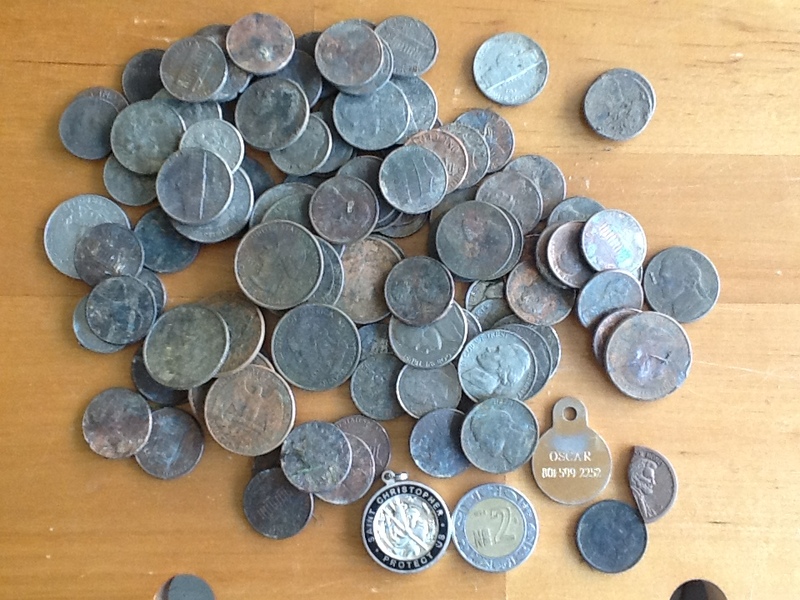 19 quarters and 19 nickels, the most nickels I can recall, but I was digging hoping for rings.